Or, get it for 129600 Kobo Super Points! 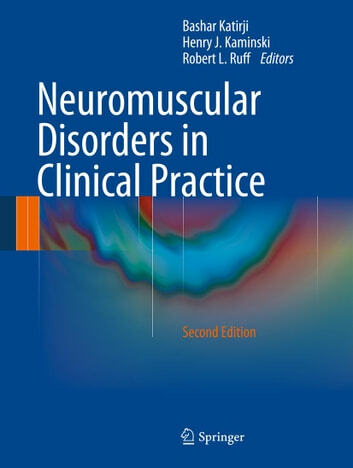 Comprehensive, thoroughly updated, and expanded, Neuromuscular Disorders in Clinical Practice, Second Edition encompasses all disorders of the peripheral nervous system, covering all aspects of neuromuscular diseases from diagnosis to treatment. Mirroring the first book, this two-volume edition is divided into two parts. Part one discusses the approach to neuromuscular disorders, covering principles and basics, neuromuscular investigations, and assessment and treatment of neurological disorders. Part two then addresses the complete range of specific neuromuscular diseases: neuronopathies, peripheral neuropathies, neuromuscular junction disorders, muscle ion channel disorders, myopathies, and miscellaneous neuromuscular disorders and syndromes. 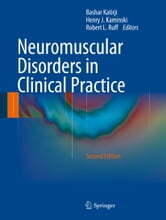 Neuromuscular Disorders in Clinical Practice, Second Edition is intended to serve as a comprehensive text for both novice and experienced practitioners. General neurologists as well as specialists in neuromuscular medicine and trainees in neuromuscular medicine, clinical neurophysiology and electromyography should find this book inclusive, comprehensive, practical and highly clinically focused. Additionally, specialists in physical medicine and rehabilitation, rheumatology, neurosurgery, and orthopedics will find the book of great value in their practice.